About 40 to 50 million people, or 1 to 2 percent of the world’s population, suffer from vitiligo. Vitiligo is a progressive skin disorder in which results in partial or total loss of skin pigmentation. This is caused by the destruction of melanocytes, the cells, which produce melanin, the pigment which determines a person’s skin color. A person with vitiligo in UK may develop it rapidly, but it more commonly progresses rather slowly. While there are many different theories in the UK and around the world as to what causes Vitiligo, a definite cause of the disorder has not been found. Some believe that emotional distress, physical trauma, or illness brought on their Vitiligo, or in some cases a severe sunburn. However, more recent findings have concluded that Vitiligo may have a genetic link, proven when looking through family histories of patients suffering from the disorder, many of which also carry other autoimmune diseases. There are two types of Vitiligo: segmental vitiligo and non-segmental vitiligo. Non-segmental vitiligo, which is also called bilateral or generalised vitiligo, is the most common type, affecting 9 out of 10 of every case. This type involves the asymmetrical white patches and can appear on any of the previously listed areas of the body. Segmental vitiligo is less common but also links to certain immunodeficiencies, affecting 3 in every 10 children, and only can be seen on one area of the body. In some very rare instances, there is also universal vitiligo, which covers the entire body. Treatments for Vitiligo in UK vary and there are a number of options available to patients suffering from the disorder, but most of these are temporary. Certain topical corticosteroids can be prescribed to slow the spreading of the patches, and may restore some of the skin’s pigment. These are normally in the form of ointments or creams, and results vary. If the topical treatment is unsuccessful, phototherapy can also be used to treat Vitiligo in more moderate to severe cases. If skin has become damaged or lost due to Vitiligo, a skin graft procedure can also be performed. All of these options are available to patients, but can prove a bit discouraging. 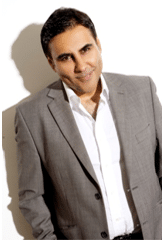 Now, with the help of Dr. Victor Sagoo, individuals suffering from Vitiligo in UK may have the answer. Dr. Sagoo is offering this solution for the first time anywhere in UK, and it comes in the form of the ExSys Excimer Laser, now available exclusively at Solihull Medical Cosmetic Clinic in UK. This energy-emitting laser can stimulate the pigment producing melanocytes in previously damaged areas of the skin, and many patients see a return of pigment, in some cases nearly 100%. This treatment lasts only a few minutes and the results after a series of sessions with Dr. Sagoo are often astounding. Finally, patients can regain their confidence and move past the emotional distress that Vitiligo has caused them. If you suffer from Vitiligo and wish to correct the devastating effects through the cutting edge technology of the ExSys Excimer laser, contact Dr. Sagoo and schedule your consultation at Solihull Medical Cosmetic Clinic online or at 0845 603 6150.